1. “First ever decentralized application”? I was meeting people every day that were funding their “first ever decentralized application that would disrupt a traditional industry” ICO. Some of them would eventually turn out to be a fake “blockchain based dapps”, because either the business itself is not suitable for decentralization or the developers were not capable. For blockchain users, there are still quite a lot of people that believe blockchain technology only incorporates projects with a “token”, which is totally wrong. I think it is our responsibility to be at the forefront of promoting blockchain technology while educating people about dapps. 2. Cryptokitties — The one and only crypto-collectibles? It has been almost a year since everyone went crazy over the dapp “Cryptokitties”. Cryptokittes is just one of many dapp-based games, however other dapp-based games are lacking the recognition they deserve. I have met many excellent developers that have built some interesting and high-quality dapp prototypes based on the blockchain. The problem for these developers is: how to promote their dapp and build a community to generate sustainable revenue? Marketing and promotion is not the strength of developers. As a result, guess what happens to these dapps? They die with a small passionate user group. 3. Dapps = Decentralized applications on Ethereum? I came from a public blockchain company with solid blockchain technology — but the technology was not mainstream at the time. Everyone developed dapps on Ethereum because everyone had an Ethereum wallet from their participation in ERC20 ICOs. However, now there are more than 20 public blockchains on their respective mainnets such as NEO and Cardano and in addition another 20 are being developed as we speak. All public blockchains have many technology features established in their ecosystems for dapp development, but we want to create easy access for new users to utilize them. That’s why we build Dapp.com, a community for dapp developers and blockchain enthusiasts to explore, play, and review dapp projects. We help developers and blockchain companies reach a large scale of users while providing a community-based platform that allows users to browse, play and review dapps developed on any blockchain ecosystems. Our mission is to speed up mainstream adoption of blockchain technology so that everyone can use dapps on a daily basis. We’re excited to bring our favorite collections and playlists to Dapp.com. Featured playlists help you discover new dapps by sectors such as “Editor’s Choice,” “Classic Crypto Games,” “Decentralized Exchange” and more. We are welcome dapp developers to submit projects (beta or work in progress). To submit your project only take a few mins and you will be able to leverage our platform to get more exposure. We will be working with a few selected projects together and help them grow their user base in the Dapp Incubator. Also, we will be launching new features and more comprehensive ranking score calculator very soon! If you’re interested in exploring the potential of blockchain and decentralized technology, Dapp.com is a source of inspiration, tools and information you can trust. Dapp.com is a one-stop platform for the dapps you’ll love. We help you understand, create & enjoy this new technology. 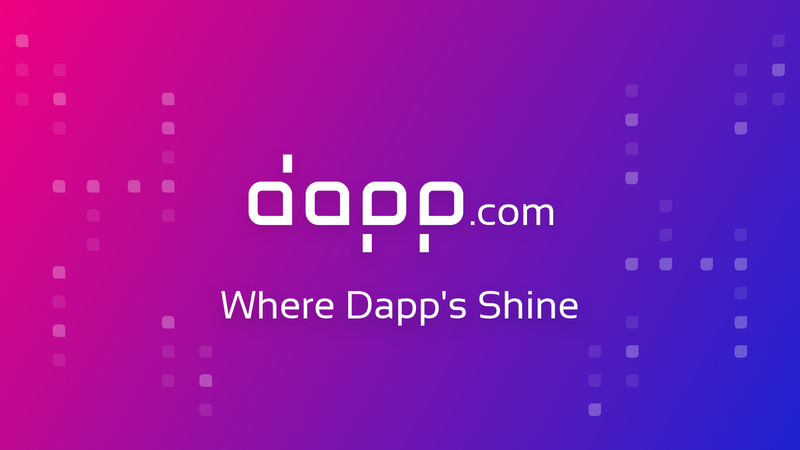 Dapp.com is a one-stop platform for the dapps you’ll love. Explore and enjoy thousands of ranked blockchain games, social network, tools and more built on Ethereum, EOS, STEEM, NEO, and TRON. We help you understand, create, and enjoy this exciting new technology with confidence.